The efficiency level in general Takaful industry is analysed from 2011 to 2015. Two-stage Data Envelopment Analysis (DEA) which is a mathematical programming method will be used to identify the factors that influence the efficiency level of general Takaful industry. DEA enables efficiency scores for each general Takaful operator in Takaful industry to be approximated relative to a dominant set of efficient firms with similar characteristics. The factors from insurance firm-specific perspective and corporate governance perspective are to be examined. The findings show that the turnover and size factors are positively and significantly influence the efficiency of general Takaful, but total net income shows a negative relationship with cost efficiency. Meanwhile, the portion of Muslim directors in the board of directors is found to have influence the general Takaful operators’ efficiency. The results recommend that a wider pool of experienced and talented Muslim executive directors fitted with Islamic finance knowledge is able to manage general Takaful operators well with the achievement of cost efficiency. 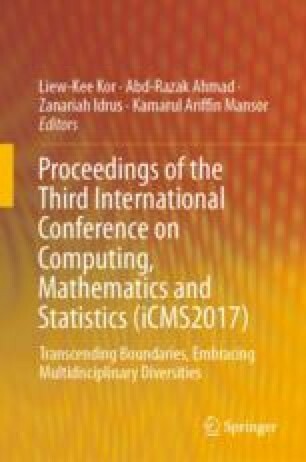 The authors are grateful to the support from Universiti Tunku Abdul Rahman, Universiti Putra Malaysia and Fundamental Research Grant Scheme from Ministry of Higher Education (FRGS/1/2017/SS01/UTAR/03/1).